Get winning advertising & marketing strategies for small & medium sized businesses. Learn how to improve the connectivity of your business to attract new customers. We develop your brand through web design, digital marketing, and IT solutions. Alpha Strategy has helped our clients achieve increases in revenue from 50-200% in under a year. The Pacific Group, established in 2018, is a diverse group of Vancouver-based digital marketers that give great businesses the reach they deserve. Looking for Creative website design Brampton agency? Tech Pumpkin will design fully customize, mobile friendly, conversion optimized and SEO ready websites for you. Integral Digital provides small business owners SEO, Paid Advertising, Web Design, Content Marketing and Social Media Marketing to help them grow their business online. 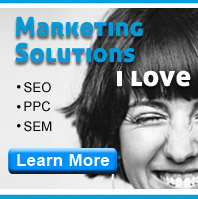 NearMe Marketing provides home improvement PPC and local SEO services. Social media management, social media marketing, digital marketing, SEO, reputation management. Idea Rebel is a full-service Digital Agency located in Toronto, Vancouver, & Los Angeles, specializing in consumer-centric digital experiences. Google My Business local seo expert. Marketing where the real money is proven to be. A top 5 organic Google listing. I charge based on results! DarkRoast Digital is a multifaceted creative design agency based in Ontario specializing in Graphic Design, Branding, Web Design, Print Design, and Packaging Design. Since 2008, we have helped plenty of local and regional online business grow their business through graphic and content design. Green Genie Toronto SEO is a digital marketing company in Toronto.